The Danish burqa ban, which not only has tongues wagging in the Scandinavian nation but also got former British Foreign Secretary Mr. Boris Johnson in a ‘spot of trouble’ recently is back in the news. A Turkish woman visiting relatives walked into a police station wearing a burqa. Only speaking some broken English, she asked to get her tourist visa extended. When police told her that the full-face covering niqab she was wearing is now illegal as per Danish law, she said she hadn’t left the house in a while and was therefore unaware. Related coverage: <a href="https://thegoldwater.com/news/31518-Denmark-Liberal-Scandinavian-Nation-Slashes-Benefits-For-Migrants-Who-Don-t-Integrate#31521"> Denmark - Liberal Scandinavian Nation Slashes Benefits For Migrants Who Don’t Integrate</a>. The Danish police in Aarhus, western Denmark, proved unforgiving and fined her 1,000 kroner ($150). The contentious “burqa ban” prohibits anyone from wearing garments which cover the face, including burqas and niqabs. The police report stated that the Turkish woman paid the fine, removed the facial covering part of the garment and left. They provided no details as to her identity or whereabouts. Related coverage: <a href=" https://thegoldwater.com/news/27636-Denmark-Parliament-Passes-Burqa-Ban-Fines-Up-to-1-500"> Denmark - Parliament Passes ‘Burqa-Ban’ - Fines Up to $1,500</a>. 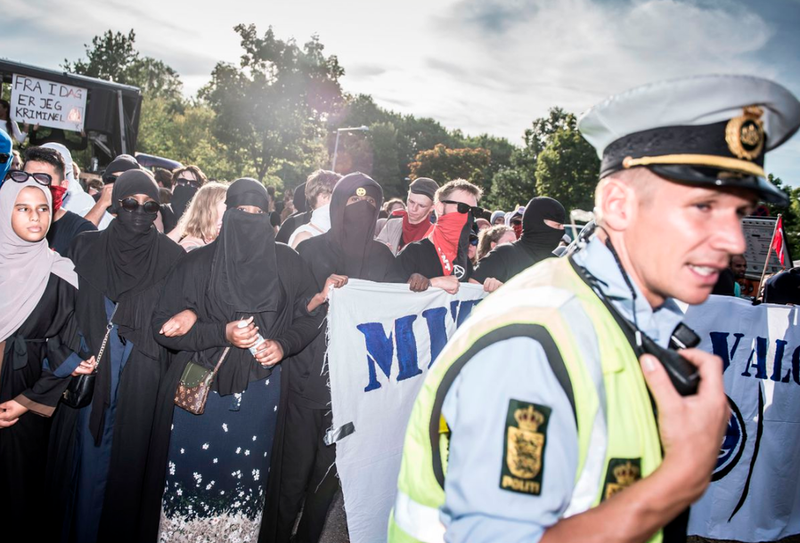 Denmark; which has seen nationalist and anti-immigration parties surge since the European immigration crisis of 2015, has implemented the Burqa ban since August of this year to great protest from Human Rights Watch and other organizations who have criticized the rule as being “discriminatory” and said it was the “latest in a harmful trend” after similar bans were adopted in other European countries such as France, Belgium, Germany and Austria. Italy is considering a similar move. According to Human rights watch statistics, the Islamic garments like burqas and niqabs are very rarely worn in Denmark, with a 2010 report estimating that only up to 200 women out of the nation’s 5.7 million wore them. Critics state that the current statistics are likely far higher. Given the relatively high average salaries in Denmark, repeat offenders risk as $1,500 fine and a prison sentence of up to six months.